Well, rest assured it is never a dull moment in the life of a human carrier. All women are different and experience all sorts of different pregnancy symptoms under the sun. 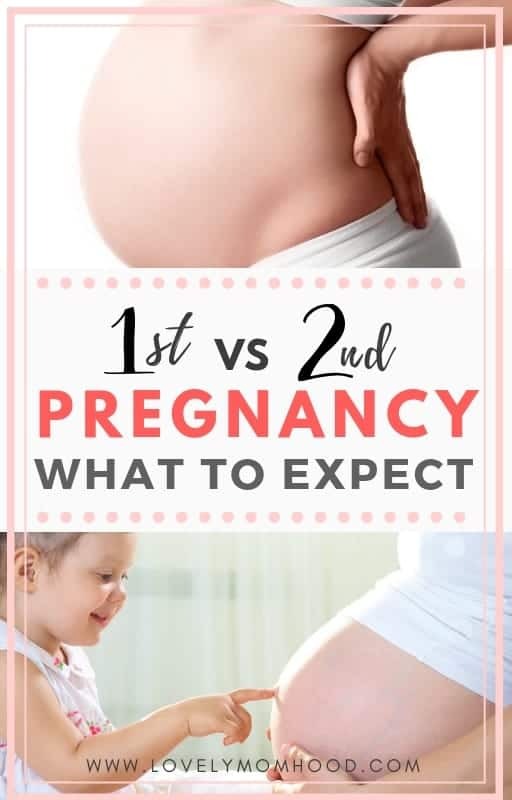 However, there are a few things that transpire during second pregnancy different than the first, which we can all agree happens to most of us. * This post may contain affiliate links. Click here for more info. It is not unusual to feel baby movements much faster the second time around. Now that you know what baby flutters feel like, it is likely that you will feel the baby move earlier. Experts say you can feel the baby move as early as 14 weeks the second time around. Take into consideration that some exceptions apply. The position of the placenta also has a lot to do with how soon you feel baby movements. For both of my pregnancies I has an anterior placenta. That means that your placenta is positioned on the front wall of your womb. 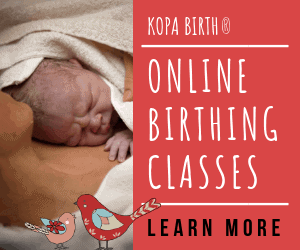 In turn, the anterior position of the placenta muffled the early baby kicks until the baby was big enough to create noticeable ones (around 22 weeks with baby #1 and 19 weeks with baby #2). Because your muscles have now stretched with your previous pregnancy, your baby pump may appear sooner than you expect. Don’t be surprised if you are needing to change into roomier clothes as soon as 10 weeks along. Well, this fact doesn’t require much of an explanation. If you already are a mom, chances are you have a little one that is already keeping you busy. Even if you have an older child, you no longer get the privileges that you did when you were pregnant the first time. When life calls and responsibilities follow, so will pregnancy fatigue and exhaustion. Ohhh the long, quiet naps! How I miss them. You might not recall experiencing Braxton Hicks contractions during your first pregnancy. If you did, they likely presented themselves late in your pregnancy. Braxton Hicks contractions, also known as “practice contractions”, are intermittent uterine contractions that start in early pregnancy. However, these aren’t usually noticeable until sometime after the second trimester. Although not the case for every woman, Braxton Hicks are said to be more noticeable in subsequent pregnancies because of the ability of a woman to know what a real contraction feels like vs Braxton ones. Pounds can pile quickly in the second pregnancy, especially if your have not managed to come back to the pre-pregnancy weight of your first child. With that said, many times we learn how to better care for ourselves the second time around and avoid overeating. Same is true the other way around. Some moms tend to better care for the things they ate on their first pregnancy. After all, there is a bit more time available to fix healthy meals. During the second pregnancy, most moms are busier trying to find the time and energy to shower, let alone to give much thought to what they are eating. It’s call survival my friend. I can attest to that. With my first pregnancy I gained 40 lbs. I had lost 30 lbs by the time I found out I was pregnant with my second child 3 years later. But, with my second pregnancy I only gained 26 lbs. Will I have enough love to give? Among all the various second pregnancy differences , this was one of the things I struggled with the most. Nothing beats being pregnant for the first time and being able to hold your baby in your arms. It is in that moment that you realize, “is it really possible to love anyone as much as I love this child?” The answer is, YES! Truth is, there is plenty of love to go around. In fact, you will also find that you will love your children differently. That is because they all have different personalities, needs, and attitudes. It is an incredible thing to witness and navigate through as they grow older. How will a second child affect your family dynamic? Well, let me put it to you lightly… it will be CHAOS! Okay, just kidding. It will be fun, and exciting. And yes, a little chaotic. Your first born will no longer have all the attention to himself/herself so it is important that you start working on getting them used to the idea of the arrival of a sibling early on. Once the baby arrives make sure you are also spending some good quality time with your first born. Including him or her in some aspects of the baby care and daily routine is a great way of making them feel valuable and helpful. The early newborn days (along the responsibilities of another child) can also prove to be challenging sometimes in your relationship with your spouse. Therefore, ensure you are setting time aside to spend time together often. Even if it is sitting together for dinner (trust me, even that will feel challenging most days and can make a world of a difference). Mom anxiety is a real thing. 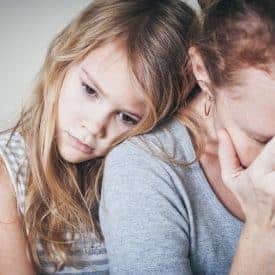 Whether you are pregnant for the first time, or the fifth, we just can’t help but to feel some degree of anxiety through our motherhood journey. However, you will most likely find that during your second pregnancy your anxiety and anticipation take a back seat. It is no surprise the Luvs Diaper Commercial states that “by the second time, every mom is an expert”. Because you know what to expect, the second pregnancy seems to feel less daunting. Unless of course, you had a negative experience during your first pregnancy and/or labor process. In which case you might be predisposed to feel a bit more anxious. I am pretty sure you have heard others say that labor the second time around happens faster. Experts say that the average labor time for second baby could be as little as half the time as your first labor was. Although not entirely true for some moms, most second time labors will happen faster because of previous ligament and muscle stretching. The same applies to shorter pushing time. Call it “muscle memory” if you will. Because your body has already done it once before, and you know what to do, chances are it will be a faster push time. From personal experience I could agree with the experts. With Baby #1 I labored for 12 hours and pushed for 45 minutes, OUCH! With Baby #2 I labored for 4 hours and pushes for 10 minutes. In fact, the nurse had told me not to push because the doctor was “on her way”. Otherwise, she would have probably made it out in 5 minutes. The second time around I felt more confident and in control. I knew what to do and what to expect. That made a world of a difference. You can read a little bit more about my birthing and breastfeeding stories here. The second time around you are also more likely to give breastfeed another chance if the first time around wasn’t as successful. The overwhelm, exhaustion, and inexperienced that happens as the result of the first pregnancy could stir some moms away from wanting to try to breastfeed. It is more likely for moms to give breastfeeding a try the second time around because they know what to expect and what to do. I breastfeed Baby#1 for 5 weeks. It was not a positive experience for me. With Baby #2 I was willing to give breastfeeding another try using all the knowledge that I had gathered from my first breastfeeding attempt. I breastfed her for 9 months. If your labor and birthing process were less strenuous than the first time, also expect for you postpartum recovery process to be better. 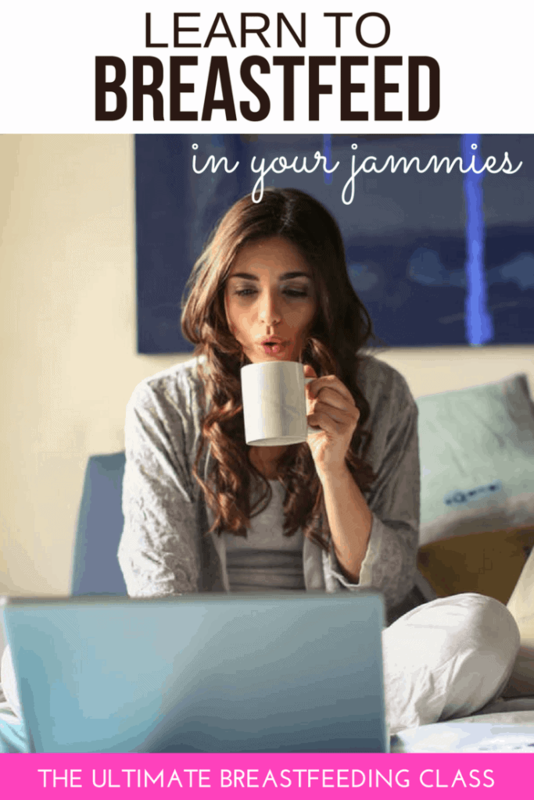 Chances are you know exactly what you need to do to help your body heal faster postpartum. You will also feel completely overjoyed and nervous about your first child meeting the baby for the first time. In addition, if you have a hospital birth, possibly arranging care for your first child while you recover might also be a very different experience. Experiences differ for every woman. There are many factors that could impact the way things transpire in our pregnancies and motherhood journey. However, one thing remains true for all of us… trust your body and listen to your God-given motherly instinct. Be present in YOUR moment and don’t let expectations get in the way of cherishing your unique pregnancy and birthing story. Once again, your life will change for the better as you get ready to welcome another fun-filled bundle of adorable chaos. Happy and healthy pregnancy and labor mama, you’ve got this! 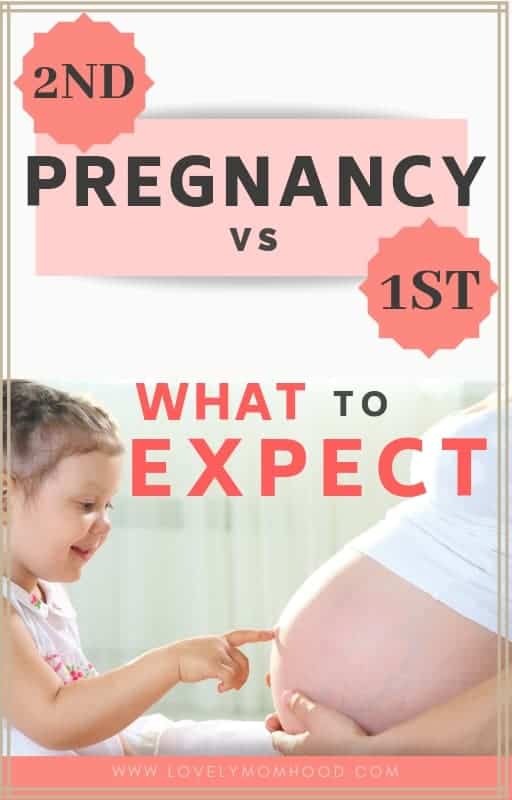 Did you experience any second pregnancy differences that aren’t listed here? If you are looking to get pregnant with your second child, what are you looking forward to/concerned about? Lovely Momhood is a participant in the Amazon Services LLC Associates Program, an affiliate advertising program designed to provide a means for sites to earn fees by linking to Amazon.com and affiliated sites.